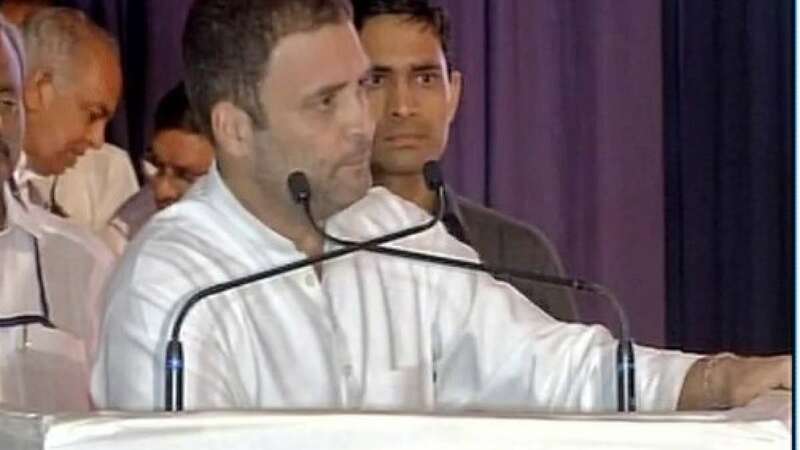 New Delhi : Congress Vice President Rahul Gandhi on Saturday questioned Prime Minister Narendra Modi on the "extraction" of high fees from students by government educational institutes in Gujarat. Keeping up at his questions in the countdown to the Gujarat Assembly polls, as promised, Gandhi said: "22 salon ka hisaab, Gujarat mange jawaab. Pradhanmantriji--chautha sawaal (as he directed his fourth query at Modi on Gujarat's condition). Gandhi accused Modi of turning the noble profession of imparting education into a business of sorts in Gujarat's government-run schools and colleges. "Expensive fees are becoming burden on students. How will the dream of New India come true?," Rahul asked. "Why is Gujarat at the 26th position when it comes to investing money on education? What wrong have the youths done?" Gandhi's question comes in the wake of the party's strategy to pose one question to Modi everyday till the polls kick off in Gujarat. Gandhi on Friday accused Modi of reducing the power generation capacity of government-owned power firms between 2012-16, while buying electricity from private players at a much higher rate. On Thursday, Gandhi hit out at the Prime Minister for Gujarat's rising debt of "Rs 2,41,000 crore", which he said was due to Modi's "mismanagement and publicity". He asked why the people of the state should be punished for it. On Wednesday, the Congress scion asked about Modi's 2012 promise of providing 50 lakh new homes to the people of the state. Gujarat has been under the Bharatiya Janata Party (BJP)-rule for over two decades. Polling for the 182-member Gujarat assembly will be held in two phases on December 9 and 14. The counting of votes will take place on December 18.